“November is the month in which we fight the encroaching dark with light…..” We light up those dark cold skies with a blaze of colourful fireworks, and gather around the heat of the bonfire. The scent of November is wood smoke, sulphur and the sweetness of parkin and cinder toffee that we comfort eat as the winter approaches. So far it has also been a truly beautiful month. The tree’s are ablaze with the final fiery colours before the wilder winds will set in and take the last of the leaves. The silhouettes of the trees that are already bare are lit by the soft, pale, fading sun. The trees that provide a canopy of colour that line many of the access roads to the park are now shedding their leaves and littering the tarmac. November is also the month in which our holiday season comes to an end. This year, it is with a heavy heart that we have said goodbye to you all as you have called in to tell us this will be your last visit of the year. Highlights of the season have definitely been the exceptionally warm and enjoyable summer which added to the success of the summer social event that was the Hog Roast. We have also welcomed many new customers to Warren Forest. 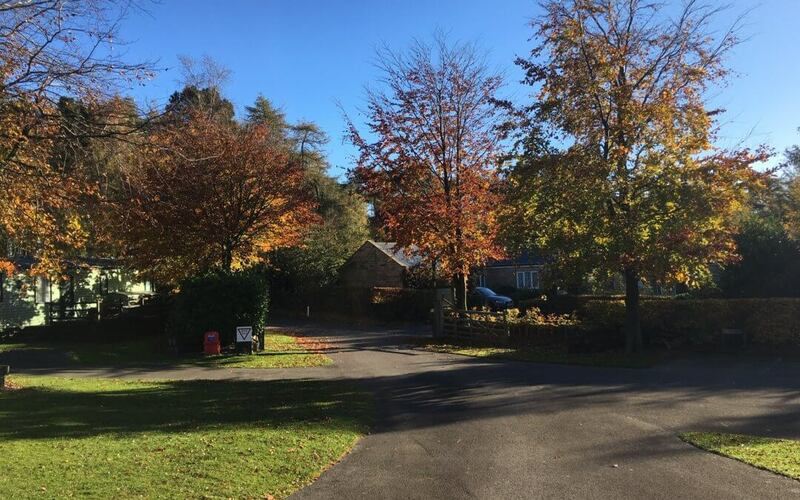 We love seeing how you enjoy your holiday homes, your escape to the peace and tranquility that this special piece of Nidderdale has to offer! Sharing drinks and nibbles on a balmy Autumn day felt like the end of season was approaching too rapidly! In all, 2018 has felt like a really special year. We look forward to welcoming you all back in March 2019. In the meantime I will keep you updated with what goes on here at Warren Forest when you are away. Remember to keep an eye on our Facebook and Instagram pages for additional photographs and information. Have a lovely winter, from Lynn, Bob, Lee, Sarah, Peter & Ian.